Have you had trouble gathering all the materials after your show? Have you been charged for damages materials because of markings in the scripts and scores? Well, we have three tips to save you a post-production headache! 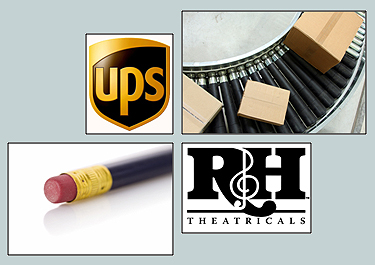 As soon as you receive your materials – before the first rehearsal – retain your tracking number(s) and your UPS Authorized Return Service (A.R.S.) Label in a safe location. You’ll need it later! Have performers erase all pencil markings in their scripts before the final performance of your musical. You can save on time and money for post-production celebration! Designate someone to collect books from musicians, actors and the creative team immediately following the final performance, and have a box pre-set backstage with the A.R.S Label ready for shipping. Remember: other productions will be using your rental materials when you’re done. Please be considerate of our large community of artists. 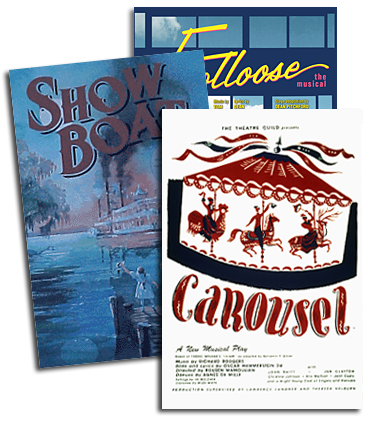 If you have any questions about your materials or shipping, please call an R&H Theatricals representative at (800) 400-8160. Does R&H use serial numbers or bar code labels on their materials as other companies do? They didn't some eight or nine years ago. That along with an inventory sheet makes tracking materials so much easier on our end.